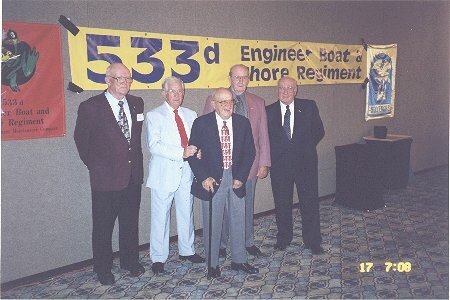 "3rd Engineer Special Brigade 2010 Reunion"
The 533rd EBSR,543rd EBSR, 593rd EBSR and any others of the 3rd ESB and Engineer Special Brigades and Army Amphibians are coming together for a combined reunion that will be held Thursday June 24th to Sunday June 27th, 2010 at the DOUBLE TREE - OAK BROOK, 1909 Spring Road, Chicago . Rooms may be reserved at $85 PER night, PLUS taxes. For those who plan to fly in, Taxi service can be arranged through the following services. Hospitality Room - The hospitality room is free. 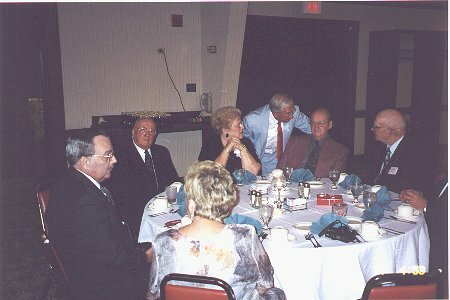 This is a room available for casual get togethers from late Wednesday through Saturday evening. Actual times open will be available Wednesday June 23. Two optional tours will be available. 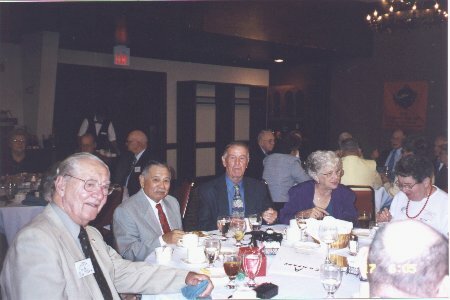 Group banquet Saturday evening. Shopping and sightseeing on your own. Reunion Event Details and Schedule - Subject to change so please check back !! Thursday June 24th - check in and social time in our private hospitality room. Dinner is on your own. Bus leaves the Hotel at 9:00 AM. Tahking the group into the city, we will tour from the bus. Downtown Chicago, including historic sites. Memorial Water Wall Veteran's Memorial at Soldier Field, the Magnificent Mile, New Millenium Park. Also the Water Tower that survived the Chicago Fire, then on to Navy Pier. A wonderful sight. Here we stop for an hour lunch on your own. After lunch we take the Architecture Tour on the Chicago River. Then back to the hotel by 3:30. The price is $60.00 per person. (Todays Price)Dinner is on your own. Bus leaves the hotel at 10:00 AM and we head to CANTIGNY WAR MUSEUM, the country estate of Col. Robert McCormick. 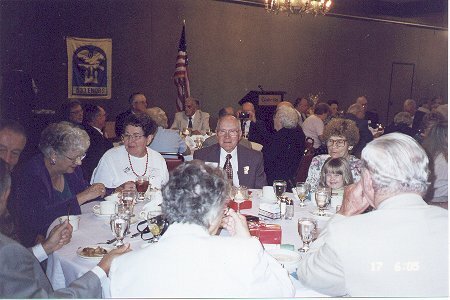 The Museum commemorates the distinguished service of men and women who served our Nation since its birth. The Tour cost is $40.00 per person and includes a professional guide. This trip will be held if at least 30 persons indicate interest. The afternoon and evening is free for socializing or siteseeing. 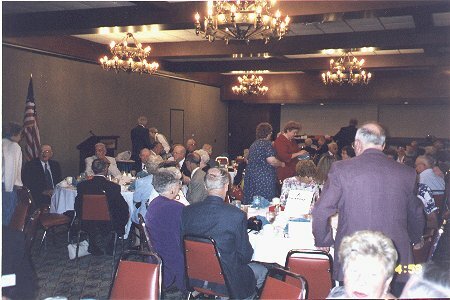 A banquet will be held Saturday evening at the hotel. It will be buffet style and cost $35.00 per person (including tax). Maps of the area will be posted soon as will area restaurants. There is a restaurant in the hotel. This reunion is open to all 3rd Engineer Special Brigade personnel or any other Army Amphibian who wishes to join us!! 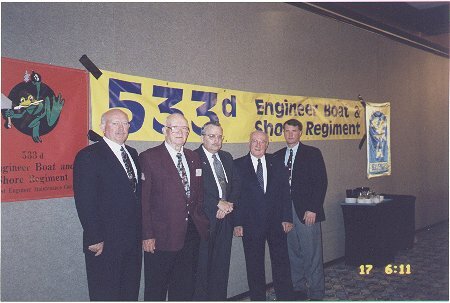 Views from the Sept 2000 Reunion of the 533rd EBSR in Louisville, KY courtesy Robert Forsyth of Folsom, PA.